All through middle and high school I was known for having perfect skin. My classmates said I looked like a china doll because of my perfect pale skin. I never believed them at the time but now I wish I had enjoyed having effortlessly clear skin while it lasted. I didn't start having breakouts until I was in college, after I thought I had happily skipped out on that unwanted right of passage. Even through college, I was lucky enough to not have any major skin problems but a breakout of any severity is frustrating to say the least. Personally, I have dry, sensitive skin that can't handle most of the chemicals in skin products that are meant to prevent acne, and in turn actually causes acne. The common thought is that if you have acne, you should wash your face more and keep oil away at all costs. For someone with oily skin, this advice might actually help, but for me, it makes everything so much worse. Also, don't be fooled by oil-free products, the right kind of oil has the potential to actually help oily skin as well. Everyone's skin is different and skin issues can be caused by problems inside the body, like hormones and food allergies, as well as on the surface of the skin, like irritants and bacteria. Different skin needs different solutions. As I said above, my skin is sensitive and many of the products I was using to help my skin problems were actually causing them. Products don't actually heal skin, they can only help your skin heal itself by providing what your body needs in order to heal or by creating optimal conditions for your body to heal. I realized this once when I had a zit and I wanted it gone. Immediately. I tried doing everything I could find on Pinterest on "how to heal a blemish." Then I realized, no matter what concoction I put on my face, it's not going to make me new healthy skin cells. Only my body can do that. I realized that I had been doing this all wrong. So then I asked the question, "What will help my skin be healthy?" and I started thinking of skin care totally differently. This point is for us girls. 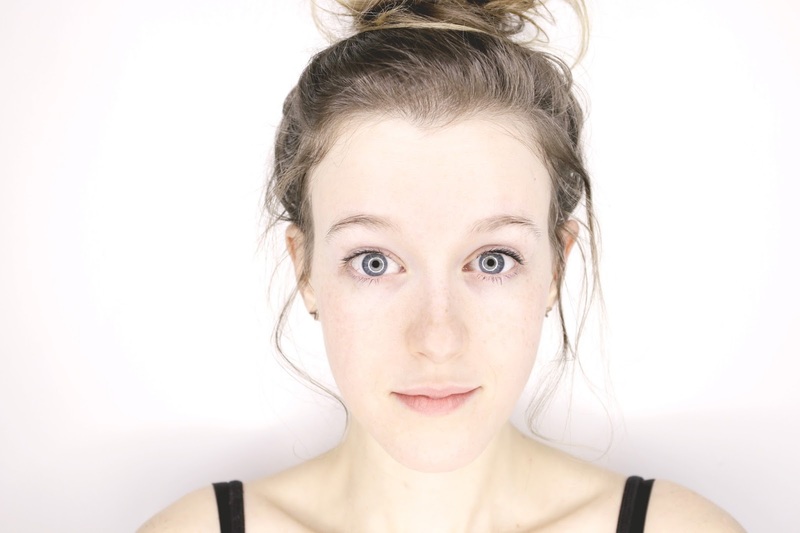 Have you ever wondered why guys look so good without make-up? The answer is that they don't wear make-up. Now, I could get into social norms and all that, but I'm going to stick to the point and say that they look better because make-up is not good for your skin. No matter how much your make-up claims that it is good for your skin, ultimately, it's not. Now, I'm sure that there are some make-up brands that aren't bad, but I haven't found them and I probably can't afford them. For some, make-up might not be an issue. But for others, it can become a vicious cycle. You wear make-up because you have blemishes. You have blemishes because you wear make-up....on and on and on. If this is you, at some point you're just going to have to be strong, go natural, and allow your skin to heal before getting out that foundation again. Just trust me, it will be worth it. Even make-up looks better on healthy skin. Those are my four rules for skin care, but I also want to share with you what has worked for me and maybe it will help you as well. I mentioned that I can't use most anti-acne products and that I like to use things that will help make my skin healthy, so, of course, I turned to essential oils and I have found a lot of different combinations that have worked wonders. I'm still figuring out what my perfect blend is, but every recipe has worked so far. Frankincense - Can help maintain radiant skin and can help to smooth wrinkles. Cedarwood - Helps to smooth skin and has a calming woody aroma. Also wonderful for your hair. Lavender - Calmes itchy and irritated skin. Lemon - Can cleanse pores and prevent blemishes. Tea tree - Excellent blemish treatment. Can dry out skin. Joy - A blend of 10 oils, 6 of which are great for your skin. This oil also has a nice floral aroma. I would suggest trying this oil if you have trouble with hormonal acne. You can find all the oils listed above by clicking HERE. I usually melt the coconut oil in low heat by placing it in a jar and then placing the jar in hot water. After the coconut oil is melted, then add the essential oils. Let it set and then it's ready to use. If you want to use one of these toner and moisturizes together, match a #1 option with a #2 option to get the benefits of all the oils. Or make your own recipe that is specifically made for your unique skin. You can use one or all of the oils listed and more, play around with different ratios and find what works best for you. Empty the contents of the charcoal capsule and mix the contents with all other ingredients. Lightly rub the mixture on to your face. 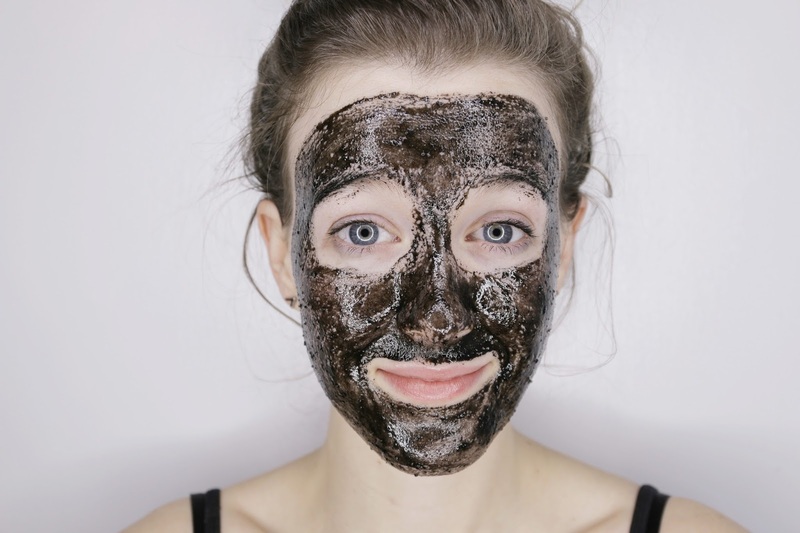 The charcoal will exfoliate while you apply the mask. Leave the mixture on for at least 15 minutes and then rinse it off. What are your favorite skin care solutions? Great tips, Sarah! Glad to see that you're a YL distributor! So are we! I don't know what I'd do without essential oils. The "Joy" oil is wonderful for poison ivy, too. I'm definitely going to try the exfoliating mask you shared about. My acne went away 90% after I stopped eating gluten, but I still have a lot of black heads. Do you have any tips for acne on your back instead of face? Would I use the same techniques? I love making my own household products and I have made my own cleansers and am a big essential oils user. Unfortunately they make me break out more than normal though which is sad. I had perfect skin until I was 18 and now suffer from adult acne. It is more from hormones and stress though for me. I use One Love Organics which has helped a bit (they are an ethically sourced business and have organic and vegan materials in their products). When I run out I MIGHT try to make homemade products for my face again. I love coconut oil. truly. I use it in my homemade toothpaste even. hehe. Great post!!! You really do have lovely skin. This was a helpful post and I agree with most of it! Just one thing, though, coconut oil is one of the most comedogenic oils. If you look up lists, it is ranked high. I've seen it as either 4/5 or 5/5. So if you get the type of acne that just won't go away, this can be pretty bad for your skin. Personally I avoid putting it on my face altogether, but it does work wonders on hair! Hey Emily! You can definitely use the same techniques anywhere! Everything that I use on my face, I use on my neck and chest as well. Thank you all for taking the time to read my blog! I just want to add that I don't think that what I use for my skin will work for everyone. The main focus for this post is to encourage you to find what works best for YOU. I love all these tips! I would like to start using essential oils and more natural products for pretty much everything, but essential oils are so expensive! How long do yours usually last for you? Thank you for doing this post! Timely help as I've just started having a breakout so I'll be trying these right away, and I love using essential oils. :) would you consider doing a post on hair care and what you like to use? I have curly hair as well and would be very interested to hear what you use. Oh and one other thing on skin care, I was wondering what cleanser you have found useful? With my recent breakout I was thinking about switching to something else to see if it would help. Gatlyn, oils seem really expensive but they last a surprisingly long time for such small bottles. I bought an oil in December and it's almost half empty two months later but I use about 4-8 drops every day. But for oils that I use less frequently, I've had some bottles for 2 or 3 years so far. Most oils I just order once a year. 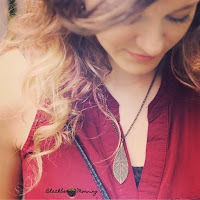 Anna, I'm actually working on a post on curly hair right now! I hope to have it finished sometime next week. As far as cleansers, I use CeraVe at night to wash off make-up, but usually in the morning I just rinse my face with warm water only and then use my toner. In your recipes, what purpose do the Lemon and Cedarwood have? Are they just for fragrance, or do they benefit your skin? I will be trying some of this as I am looking for ANYTHING to try and get rid of my acne. Thank you for the ideas! Thank you for this post! I tried tea tree oil on my face as spot treatment for a few weeks now. The first week I saw improvements (acne is less severe, not as red, doesnt appear as often) but since then I haven't seen any more improvements (acne still happens, skin gets more irretated by make up now). Any tips? So far I've only deluded the tea tree oil with a wet cotton pad (like the ones used to remove nail polish). I tried witch hazel on my skin but my acne got worse from it. How do you store your oils? How do you delude them? And what do you use to apply them to your skin? Hey Emily! It sounds like the tea tree oil might be too strong for your skin. For spot treatments, I usually just use my finger to apply the oil because I don't want to waste any on something that isn't my skin. I usually only do spot treatments for short periods of time because the oils can be strong. The problem with diluting oils with something wet is that oil doesn't mix with water so it's not really diluting the oil as much as it is just making it separate into little drops on the cotton pad. So it still has the potential to be pretty strong. Since which hazel doesn't work for you, I dilute my oils with oil. I use coconut oil but there are a lot of oils to choose from. Some people who can't tolerate coconut oil use grape seed or avocado oil. It might also help to try a different essential oil. Frankincense seems to be a little less harsh on my skin and is one of my favorites to use for spot treatments. Also, acne can be caused by a lot of different factors. Applying things topically can sometimes only do so much. I tend to get allergy induced acne and, as much as essential oils help my skin, I really have to remove the allergen before my acne will completely go away. So if nothing seem so be working it could be a food allergy or something similar. In response to Emily, I found out that much of my acne problems were due to excess heat inside my body that was escaping through my face. It wasn't even so much acne, as it was little bumps (I think they're called sand bumps). I've been getting acupuncture done to release the heat as well as taking some supplements from my naturopath. If you can find a naturopath and/or acupuncturist, it might be worth it to go see them and see if they can help at all.